Auto Repair in Dalton, GA I Call 706-259-0660 now! 2% over all work order if you found out about us online. Welcome to Dalton Diagnostic Auto Center! At Dalton Diagnostic Auto Center, we are a family-owned business committed to providing the highest-quality auto repair in Dalton, GA. We only use high-quality products for all work we perform. 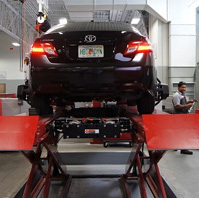 We understand that auto repair is usually an unexpected expense, so we provide excellent repairs at affordable prices. Additionally, we maintain flexible appointment availability, so it's easy to bring us your vehicle when it needs a repair or servicing. When you bring your vehicle to us, you can rest assured that you will receive the best service. 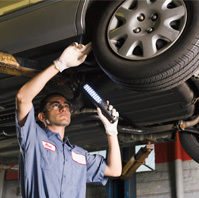 Our highly experienced mechanics are all licensed as well as insured and state certified. We want to ensure we provide you with the highest level of customer satisfaction and will go out of our way to not only meet your expectations but also exceed them by providing fast, prompt service and a free written estimate for auto repair in Dalton, GA. When you leave our shop, we want you to be completely confident in all work performed. That is why we provide a road test analysis following all work performed. Your vehicle is one of your most important investments. 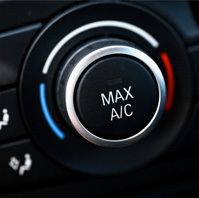 Whether you are commuting to work, chauffeuring kids, or out for a leisurely drive, it's important for your vehicle to run. Along with taking a detail-oriented approach to auto repair in Dalton, GA, we are also pleased to provide emergency service so that you can get your vehicle back on the road as quickly as possible. We can also file your insurance claims to make the repair process as hassle-free as possible. From engine repair to general auto repair, maintenance, and timing and belt service, we are here to help. You can expect a friendly attitude and quality work. We are so confident you will be pleased with our service that we provide a warranty on all labor performed. Our shop is conveniently located at 820 Tinsley St. 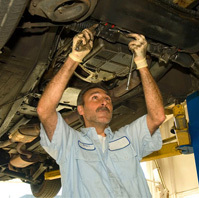 When you need auto repair in Dalton, GA, you can count on us for experienced service. Come by and see us today. Copyrights © Dalton Diagnostic Auto Center | All rights reserved.